Apple's iPhone and Google's Android smartphones are getting set for another epic battle next week as these two titans of the smartphone industry show off their latest devices. Apple already sold 600,000 iPhone 4 devices in one day despite severe technical problems with ordering systems in the United States. Motorola Droid is the most popular smartphone in the Android army, and the June 23 announcement is expected to bring significant upgrades to Motorola's popular Android brand. The stage is set, and the next battle is about to begin as Google and Apple compete over who will become the number one contender to compete for Research In Motion's smartphone crown. So, as we get ready for next week's showdown, let's look at some of the key areas where the two smartphone platforms will compete, as well as some quick and dirty predictions over who has the advantage in each category. The new iPhone 4 is boasting some impressive specs, including a front-facing camera, high-definition 720p video recording capability, 5-megapixel rear-facing camera, longer battery life, three-axis gyroscope, and a 960-by-640 resolution 3.5-inch LED display. 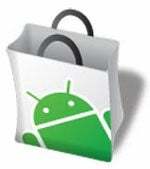 On the other side, the big news expected to come out of the June 23 Android announcement is the recently-confirmed Droid X. The Droid X features a 4.3-inch display , HDMI output, and 720p video recording capability. The new Droid device is also said to sport an 854-by-480 resolution screen, and 8-megapixel camera with flash. The Droid X is likely to run Android 2.1 (Eclair), according to Engadget. It's unclear whether the new Droid device will be capable of running the oft-hyped Flash Player 10.1 for mobile devices. Both devices sound impressive, but Android appears to be missing one key feature present on the iPhone 4: the front-facing camera. But on the other hand, there's already an Android device that boasts this feature on Sprint's network: HTC's Android-based EVO 4G. Earlier, NPD Group released a report saying that Android sales had outpaced iPhone sales during the first quarter of 2010, while Gartner said that Android grew by 707 percent during that same quarter. in the United States, but if you want the iPhone you have to go with AT&T. This has been the state of affairs since the iPhone's launch in 2007, and the exclusive relationship shows no sign of ending despite rumors of an iPhone on Verizon or T-Mobile, and even speculation about Sprint. m you're phone has, whether it's going to get upgrades, and which features you may be missing. figure out which platform is best. But for most users, there are plenty of apps to go around.